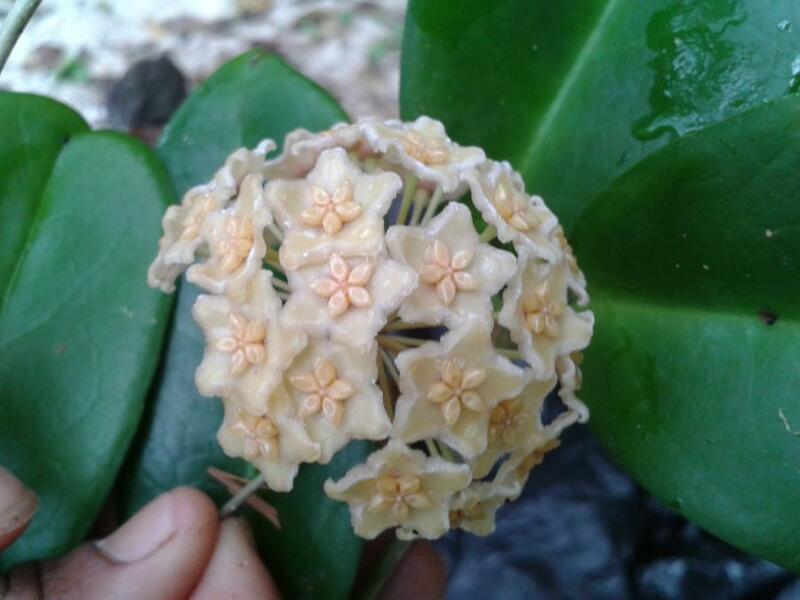 (VAbcD) is beautiful hoya in New Guinea. Light yellow star shaped flowers & darker corona & big leaves. Flowers a large cluster of 25 to 30 flowers during the warmer months. Morning sun to part shade. 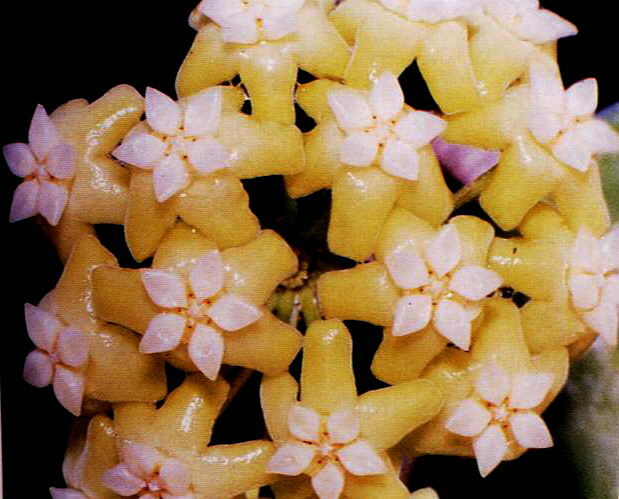 Hoya australis. 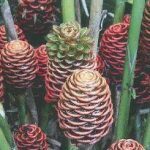 Shiny ovate shaped leaves with clusters of white waxy triangler petal flowers with a red and white centre. Will give you eyecatching yellow flowers with white corona in the centre. 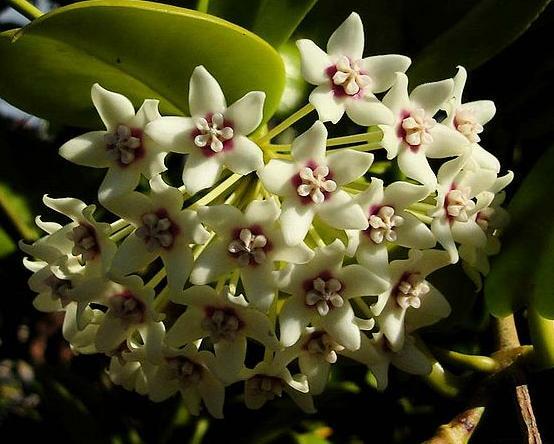 It has a spicy fragrance and blooms in the warmer months. 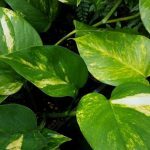 The leaves are light green with visible veins. 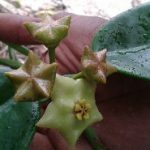 It is an easy fast growing hoya. 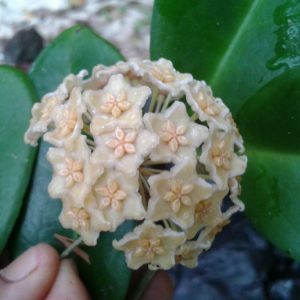 I ordered this collection along with a few other hoya plants and I can not express enough how healthy all these plants are on arrival. Packaged extremely well and careful. Shipping was extremely fast and arrived the day after it was dispatched. All in a nutshell I highly recommend buying from rare plants you won’t be disappointed and prices is just another reason to buy from here. Thank you rare plants I look forward to dealing with you again in future. This Hoya collection is spectacular, the plants are large sized with very strong root systems, so well grown and healthy. As always packaged so the plants arrive in excellent condition – amazes me how much care Bob and his staff place into their product – grown and packaged with sincere care. One of the best online nurseries and a pleasure to deal with, helpful and friendly. This collection just arrived and I am so pleased! 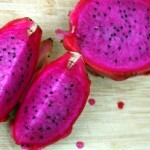 The plants arrived very quickly, well packaged and in good condition.